About the Redevelopment David says “The first thing you notice is the skyline- in the past all you could see heading back into Pirie was the stack, now it is the stack and the new TSL building. The town seems to be a buzz with lots of chatter when different modules are seen being brought down the river. The redevelopment has seen security for our Region and people are more at ease knowing that the redevelopment means the smelter is here to stay for a while yet! In years to come David is optimistic that the stigma around lead in blood and air quality will be a thing of the past and that Port Pirie will be known around the world for its state of the art clean operation. And if you need any convincing to visit then David has this advice “If you are looking for a friendly laid back lifestyle then Pirie is the place for you. No matter what you hobby or lifestyle Pirie has something for you!  Nothing is more than a few minutes away and if community spirit is what you are after than look no further than Pirie!